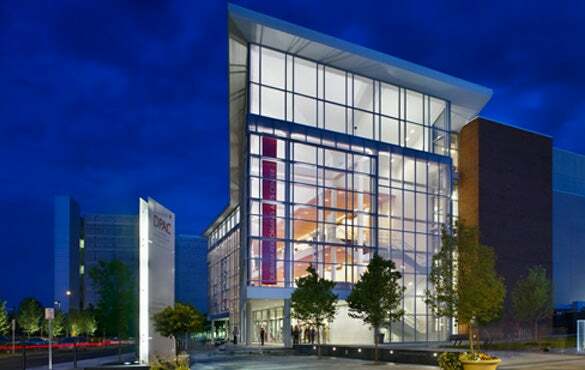 DURHAM, NC- For the third consecutive year, DPAC, Durham Performing Arts Center announced it has placed among the most attended theaters in the U.S. as tracked by an industry leading trade magazine. Pollstar, the only trade publication covering the worldwide concert and live event industry with tour schedules and sales results, named DPAC #5 in the U.S. in their recent 2012 report- Worldwide Ticket Sales - Top 100 Theater Venues,” based on attendance at DPAC. DPAC was also recognized by Billboard Magazine as the #4 theater in the U.S. with a capacity under 5,000 for gross ticket sales. DPAC’s 2012 calendar year featured 204 performances which drew over 425,000 guests and saw 75 sellouts. Heading the list of the highest attended shows were Wicked and Jersey Boys. "Even before we opened our doors, we wanted to be known for one-of-a-kind entertainment experiences and to be our guests’ favorite place for live events,” says Bob Klaus, General Manager at DPAC. “From the outset, one of the keys was DPAC's operating partnership of Nederlander and Professional Facilities Management, and their ability to land the biggest Broadway, concert and comedy shows in America. Triangle audiences quickly caught on that not only did the really big shows play at DPAC, but there was also an attention to customer service that was both authentic and special. It's this combination of great shows and our commitment to the guest experience which has really set us apart in the region and helped make DPAC such a hit with so many passionate fans." In addition to Broadway blockbusters, DPAC again delivered a season with great variety and something for everyone. Concert sellouts featured classic acts Jackson Brown and Crosby, Stills and Nash, Folk concerts including the legendary Bonnie Raitt, diva superstars like Aretha Franklin and Patti LaBelle, renown Jazz artists like Diana Krall, and special guests David Sedaris and Theresa Caputo. Plus Comedy also played a decisive role in DPAC's season with Daniel Tosh, Brian Regan, and Kevin James posting record setting sellouts.